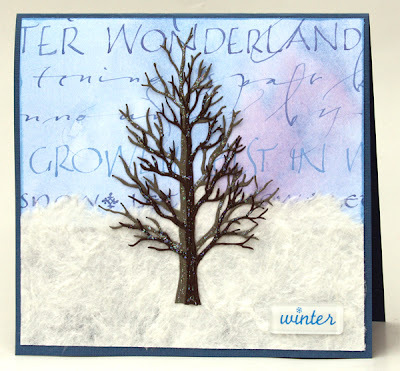 I have been busy making cards and a mini album with snowflakes and winter images. It has been fun pulling out some older products and using up scraps. The way I see it, it gives me a good excuse to go shopping for new stuff! 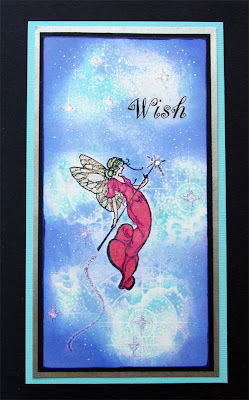 I also made this card using stamps from Cornish Heritage Farms (small fairy) and Stampscapes (Star Birth & Milky Way). I wanted to try the Colorbox stylus tool to softly add background color and was pleasantly surprised at the result. I also used Pearl Ex pigment powder on the fairy's dress and Stickles on her wings and some of the stars. The end result is as magical as I had hoped. What's your wish for today? 2Jills.com is an amazing website and kit club that is undergoing some changes. There's a new owner, a brand new board coming in October, and a new Design Team. About a month ago the new owner, Jennie, invited me to join the card Design Team for 2Jills. I was very excited! Today the official announcement about my position was made at the site, and I received a warm welcome from old friends and new. 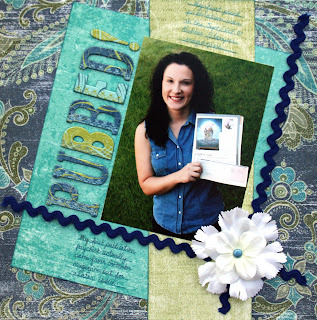 Please stop by and say hello - we have amazing scrap and card kits that will be available on October 1st. There will be games, challenges and a grand reopening cybercrop. See you there! This photo is dedicated to my sister, Jiselle. She had a traumatic experience with one very hungry squirrel and hundreds of tulip bulbs one year, and the rest is family history. I saw this one today while I was roaming around my in-laws' apartment complex with my Autumn Photo Challenge list in hand. 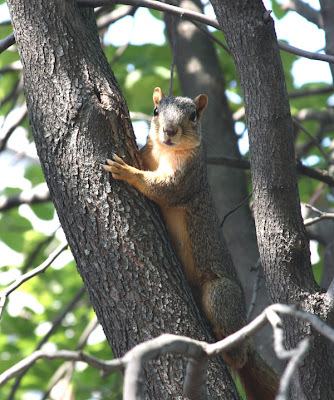 I added seven new photos to my slider gallery at right - take a peek! I made a few Thanksgiving cards yesterday and thought I'd share one. It has been fun playing with browns and oranges, leaves and fibers, buttons and bows. I am really loving my new Autumn Leaves stamps. My friend Patti from SBO has gotten me hooked! Thanks, sista. I have no idea what got into me when I was making this card for Di Hickman's sketch blog. I grabbed my pack of scraps from Daisy D's French Market collection that I used so much of last fall and just went to town. Something about DD's rustic, distressed finishes feels right under my hands. and the barn board and roosters seemed like a natural fit with fall in the air. 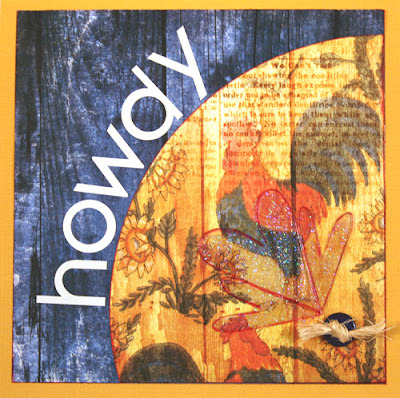 The twine knotted on the button and "Howdy" sentiment seemed to tie it all together. I was concerned that I would have to cover up my rooster friend with a flower or other embellishment, so I decided that something of the ghost variety would work best. Then I struggled to find a way to attach them without stapling or adding brads. Stickles to the rescue! It's a little bit country, a little bit rock and roll, and ALL me. 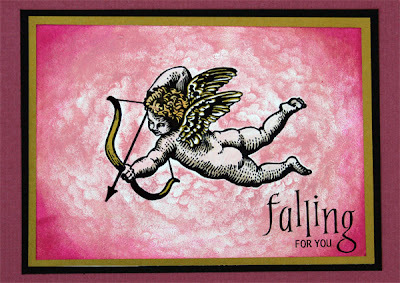 I stamped this card using a masking technique. I made a version of this card many, many years ago but decided it to update it a bit. It has been fun dusting off my old stamps and breathing new life into them. I also updated my slide gallery for the photo challenge I joined. Take a peek on the right! My friend Kelli from SBO linked us up to this cool Autumn Photo Challenge. I created a slider gallery to keep track of the 50 photos I need to take. Give it a try! 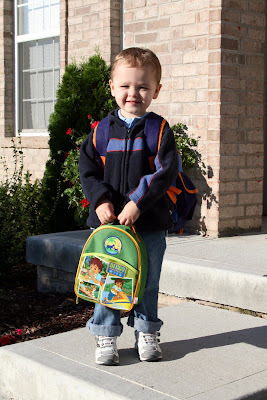 Matthew started preschool at our church today. 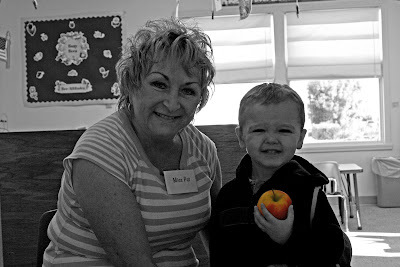 The photo of him with the assistant teacher turned out so dark, so I played with it in Photoshop Elements to make it even usable. He was so excited and had a great day with his best buddy, Luke. We remember the lives that were lost. We remember the families still grieving. 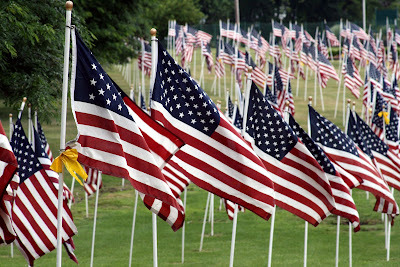 We remember the men and women who fight each and every day to keep us safe. I just finished up some guest design work for A Page in Time kit club. They specialize in 3 mini kits each month based mainly on patterned papers and one set of embellishments to match each mini kit. I can't share full photos of my projects with you until the October kits are released, but here are some sneaky peeks. For those of you who like to push your papers as far as possible, these kits are great. I still have some scraps left over! My friend Patty from SBO posted her tagged list today even though she wasn't really tagged. And she invited anyone who wanted to play along. So here ya go, sista! G- Gummi Bears or Worms: Not a big fan of either. Give me a Swedish fish any day! T- Tag Three: Nah, it's been done before. U- Unknown Fact About Me: I hate maple syrup. V- Vegetarian or Oppressor of Animals: I'm a carnivore. X- X-Rays or Ultrasounds: I've had several of both! Well, this post is bound to be interesting with a title like that! Tonight we took our first steps into the scouting world. Ian joined Cub Scouts and became a member of Pack 130's Tiger Den here in Fishers, Indiana. This is my first scouting experience, too, so we are going to learn together. Luckily Scott did some scouting as a child and is going to be a big help...when he remembers anything from his childhood, that is. 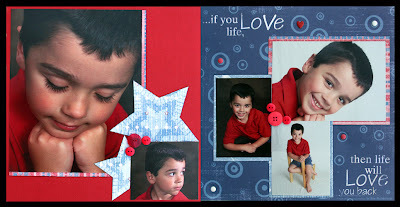 On another note, this layout features some amazing portraits taken by our dear friend Tammy Mullis. I made this project for DT work with BasicallyScrapbooking.com in Australia. A teaching friend of mine from Pennsylvania once said about Ian: "Honey, that child does not have eyelashes. He has awnings." Tammy is an expert about posing Ian to highlight exactly that feature, and I am more than happy to scrap the results. Ian got a scooter for his 6th birthday in June, and these are some of the first photos of him riding it. 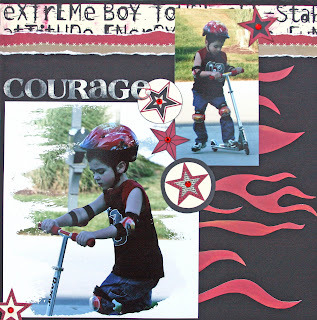 This layout uses the Extreme Boy line and is part of the Junkitz sale this week at ScrapbookerOnline. Check it out! For those of you who don't know me well, I have been trying to get my crafting work published for nearly a year. In the summer of 2007 I finally started getting requests for my work in a variety of magazines. My very first project to hit the news stands was a Halloween card in the Sept/Oct Rubber Stamper magazine. A good friend reminded me to make a layout about it, so here it is. It also features a sketch from my friend Di Hickman. I did it, I made a blog. I really didn't think I would, but it seems that the time has come. I will be posting family photos and crafting projects here for you to enjoy. Check back often!